One of the things I loved most about The Florida Keys is that it’s not home to a million chain restaurants. In fact, you’re hard pressed to find one. You know what this means, right? It means that real food is everywhere. It means that there are people who pour their heart and souls in to serving you a good meal every single day. It means that the menu is determined by the catch of the day and not the head office thousands of miles away. It means that good food stretches from Key Largo to Key West, and I intend to take one for the team and try as many as I can for you. Without a doubt though, I can tell you that these four restaurants are worth stopping for! This restaurant list was supposed to a list of five but when our last night came, we decided that we had to go back to Hogfish for just one more meal. What? There was no guarantee that last restaurant would have made the cut anyway. 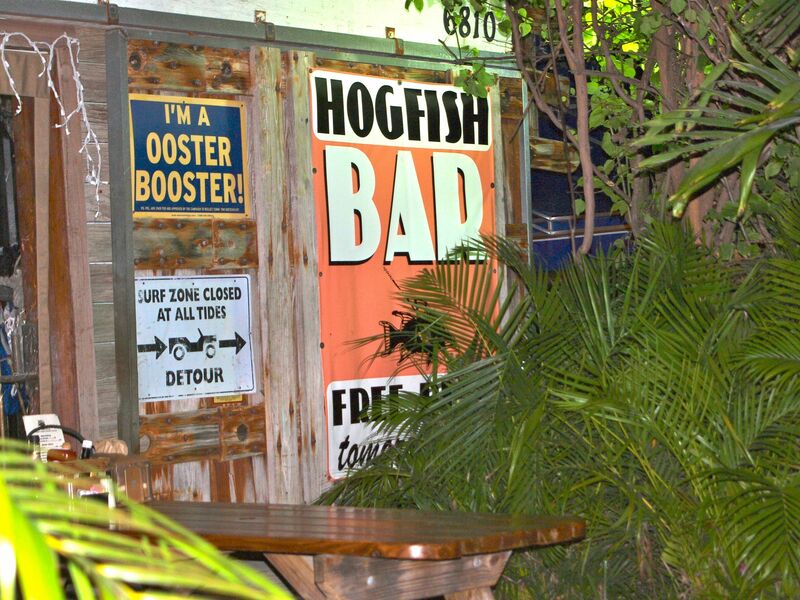 Hogfish is not located in Old Key West, but rather off the beaten path a little on Stock Island. It can be a little difficult to find but is TOTALLY worth the effort. This is where the locals go and you won’t regret it. Try the Marinated Skirt Steak with a chimichuri sauce so good, that my mouth is watering just typing this. I can also highly recommend the lobster bisque, corn chowder, coconut shrimp, Shrimp Po’ Boy and the house specialty, The Killer Hogfish Sandwich. No one’s plate is safe when I’m around. You’ll also love the relaxed atmosphere here. Nothing stuffy, just good atmosphere, good people and great food. 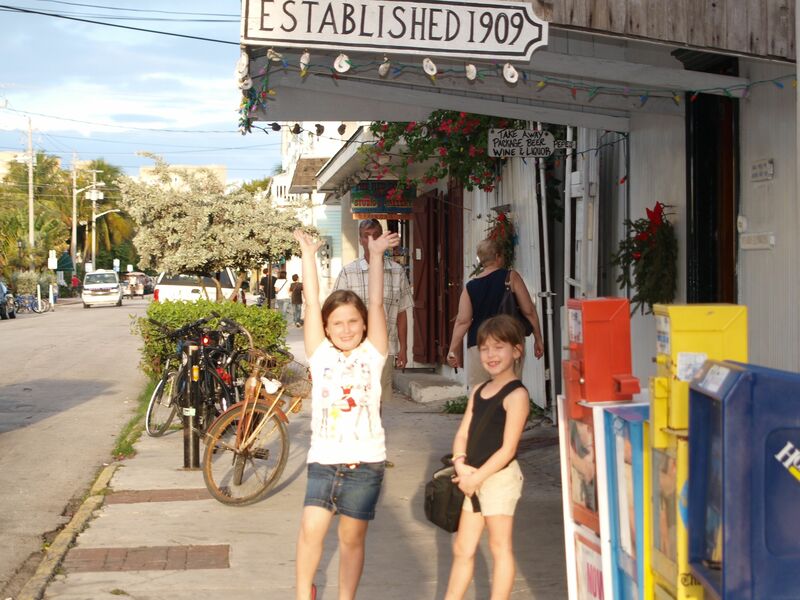 This restaurant is just over 100 years old, and is officially Key West’s oldest restaurant. You don’t get to be that old by serving bad food and that’s a fact Jack. Open for breakfast, lunch and dinner every single day since 1984, Pepe’s Cafe is known for it’s fresh bread, homemade desserts (especially Key Lime Pie), delicious steaks and it’s oysters. The restaurant is small with an eclectic vibe. My husband would tell you the oysters were divine (I can’t do oysters), and I can tell you that my steak was exceptional. Yum. We’ll be heading back here to try more off it’s incredible menu. 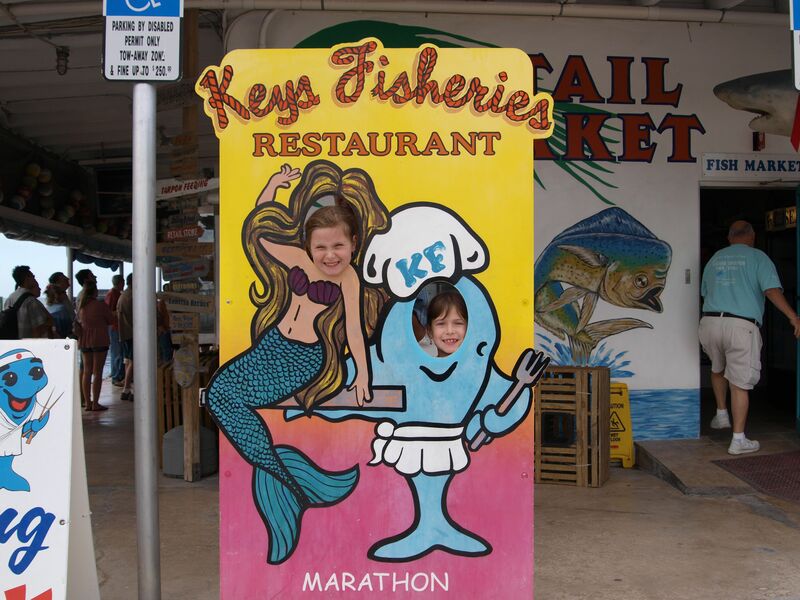 The Keys Fisheries is located in Marathon, about an hour north of Key West. We made a day trip of this, stopping at Bahia Honda State Park, visiting The Turtle Hospital and then pulling in here for something to eat. 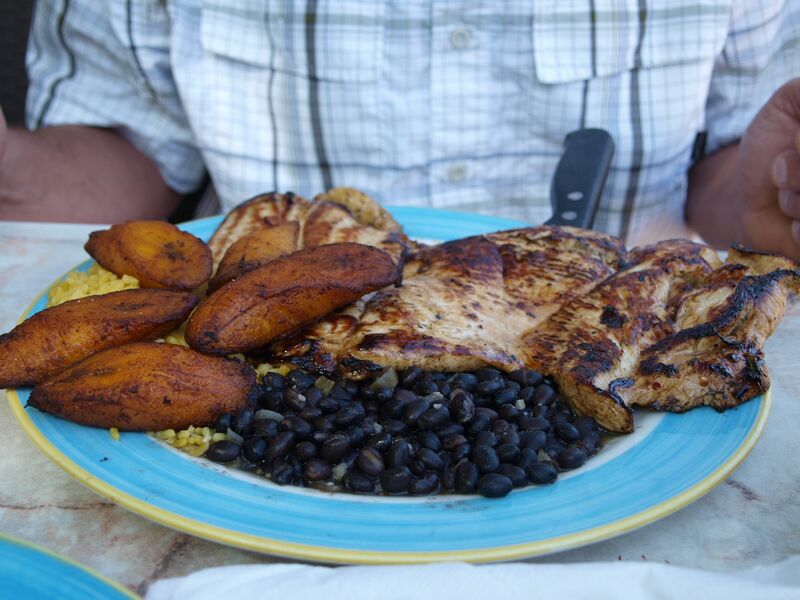 Located in a marina, The Keys Fisheries is a laid back eatery. Place your order at the window, pick up your food, then kick back and enjoy at one of the picnic tables. A full service bar is available with cold beer and delicious frozen concoctions. As you’d expect, being in a marina, the menu is primarily seafood, but there are options for landlubbers. This is very popular restaurant, especially with the locals. You know what this means, right? You should go. Highly recommended: The Lobster Reuben. Located right on Duval Street in Key West, Caroline’s Cafe is a great place to stop and enjoy the atmosphere of Key West while eating delicious food. I was a little “fished” out when we stopped here and I thoroughly enjoyed the Chicken Broccolini, my husband raved about his Jerk Chicken and my daughter, well my daughter can’t get enough seafood and devoured her entire Shrimp Po’Boy. You need to know that everyone in Key West is going to tell you that their Key Lime Pie is the best. It is up to you to try as many as you can to be responsible guest. In my humble opinion though, the Key Lime Pie at Caroline’s is second to none. Tell me if you don’t agree.